E-commerce website owners have started to feel the heat, because as the holiday season starts, they will see a huge surge in traffic as people will start their shopping. The increase in traffic makes e-commerce businesses and their customers appealing targets for cybercriminals. Credit card fraud is not a new threat for e-commerce shoppers, but card owners often have no knowledge of how hackers use their personal information to make money. E-commerce owners cannot ignore the fact that hackers are out there watching your activities, and the next target can be you. Needless to say, you are putting your website and business at risk by your not adhering to security best practices and being PCI compliant. When a card is swiped on through a reader, a code diverts the details of the card to the hackers, who have already injected malware into the checkout process in the machine. The attackers inject the swiping machines with malware after having read the vulnerabilities on the website. Most attackers are well informed and have done their homework thoroughly. They create a backdoor entry to the website, and the owner fails to realize there is anything wrong. The hackers will not deface the website home page, but keep a loop planted there to track activity. As data is fed in it, it also goes into the hands of the hacker. As mentioned above, hackers are smart, and they know how a process works. So no matter how good or reputed a payment gateway is, hackers will find a way to compromise it. 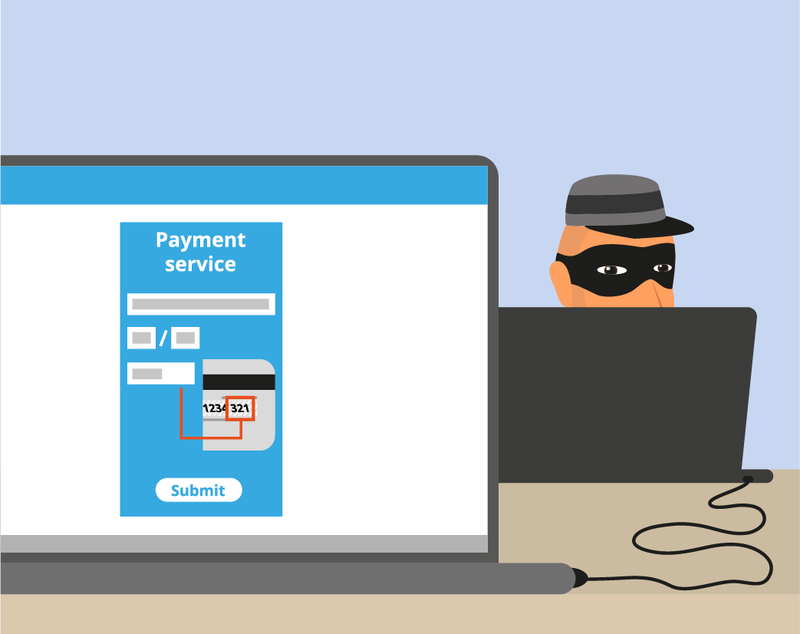 The hacker can clone the website payment gateway page, so that users will not notice a difference between the hacker’s page and the original website. The shopper will end up sending the payment on the dubious gateway, and interestingly the inventory of the e-commerce website will mark the sales. This is where PCI compliance is so crucial for e-commerce sites. Traditionally speaking, E-commerce website should opt for a strong firewall. So when hackers try to gain access to your site, they will be blocked and not able to make any changes. Malware attacks are not e-commerce specific, they attack every individual and business, but for the e-commerce website, a malware infection can be devastating, particularly during the shopping season. Hackers are one step ahead, just in case they manage to gain access to an e-commerce website, they will place malicious codes that will infect visitors’ computers. So when the buyer is shopping he will get malware with each click. Today, Google and antivirus companies can easily detect if there is any malicious code running in the background of a website. If malicious code is found, the website will be blacklisted. Users will receive warnings when they visit the e-commerce website. Citing poor traffic, the owners will be forced to look at their website to determine the next step. Hackers are often one step ahead of business owners, and they keep evolving their strategy to evade detection. As always, the common factor that allows the hackers to compromise websites is vulnerabilities. These vulnerabilities can be a poor third party CMS or an outdated patch, so make sure you have filled those gaps on your website. Scan your website for any vulnerabilities or any sign of compromise, but be aware that hacks are not visible in the source code. These files are intended to target your customers, and it is more likely to be hidden in the website database. The best way to keep yourself safe is to opt for cloud-based security with deep detection to protect you from all potential risk.